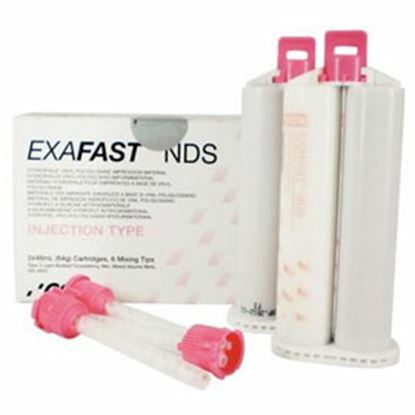 EXAFAST has an improved accuracy and it gives patients comfort. 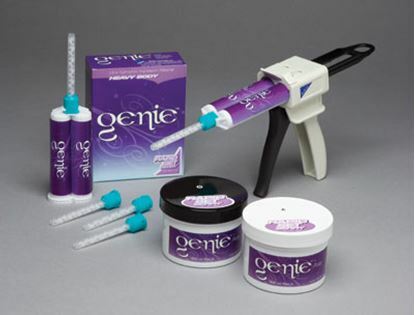 It takes less than a minute to extrude the material from the cartridge. 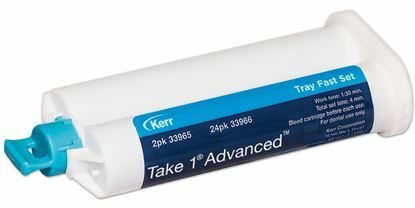 The productivity is increased because it cures in 1 minute saving time for the dentist and the distortions on the patients are reduced. 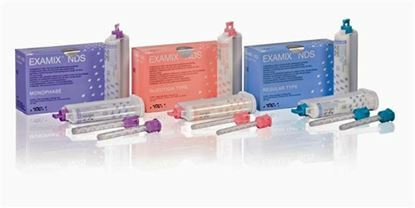 Why would you look back when you have Examix NDS solution that can be used for multiple pours and has danger of bubbles because of the patented hydrogen formula. 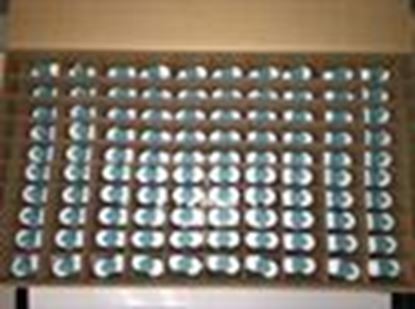 It has no slumping and as a result you will not experience distortion in the mouth. 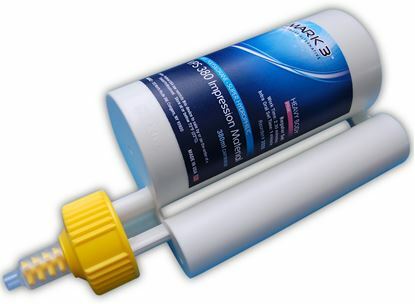 It has no taste and has no smell and it augurs well with disinfectant solutions. 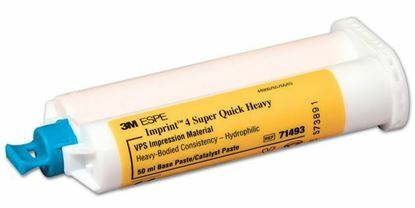 When your cases are critical, you need consistently precise performance. 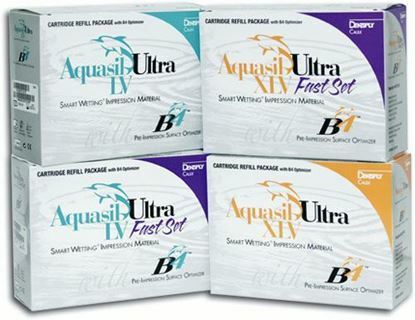 No matter what the application or your procedural preference is, Aquasil Ultra's wide range of products accommodates you. 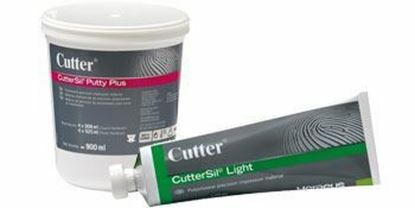 Penta Value Pack includes Regular Set VPS 6 - 300 mL Base Paste and 6 - 60 mL Catalyst. 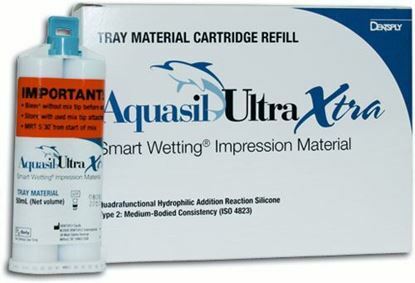 Aquasil Ultra Xtra Deca tray standard pack contains: 2 x 380ml cartridges tray material, 20 Dynamic mixing tips, 1 bayonet locking ring. 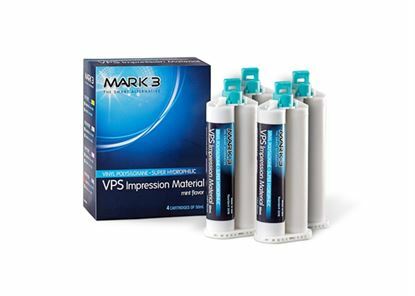 Imprint 4 VPS Impression Material delivers precise impression results. 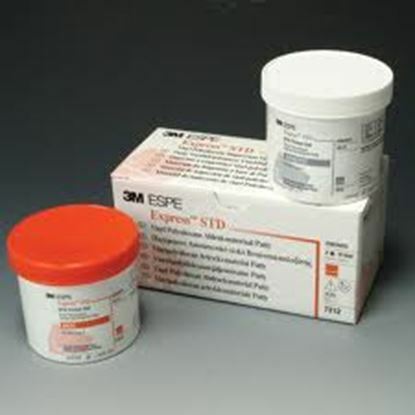 It also offers dentists and patients a quick setting time. 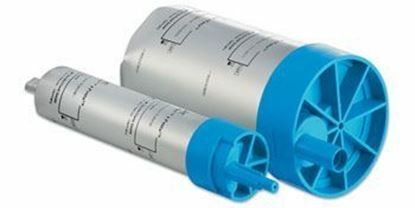 Vinyl polysiloxane cartridge material. 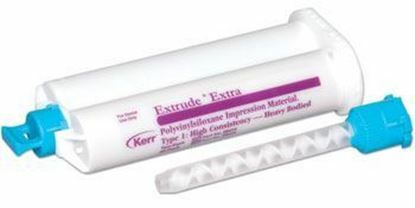 Extrude's heavy-bodied material is thixotropic and won't slump in the tray; drives Extrude's light-bodied syringe materials subgingivally for ideal tissue displacement and excellent detail. 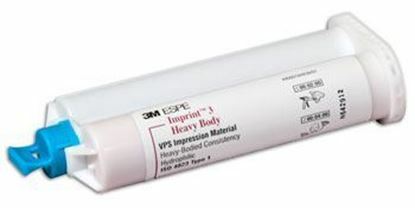 Silicone impression material. 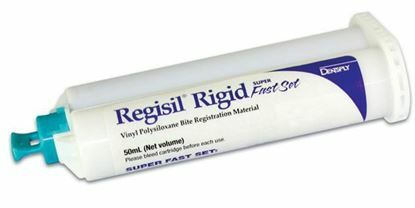 Contaminants from gloves or retraction materials do not affect setting time. 30 second working time, 1 minute procedure time.